We just made some lamingtons, I believe they are an Australian dish, so what better way to celebrate Australia Day? My husband has the day off work as its a public holiday here in Australia, so we've been baking. We even had a special lunch of rissoles and salads. 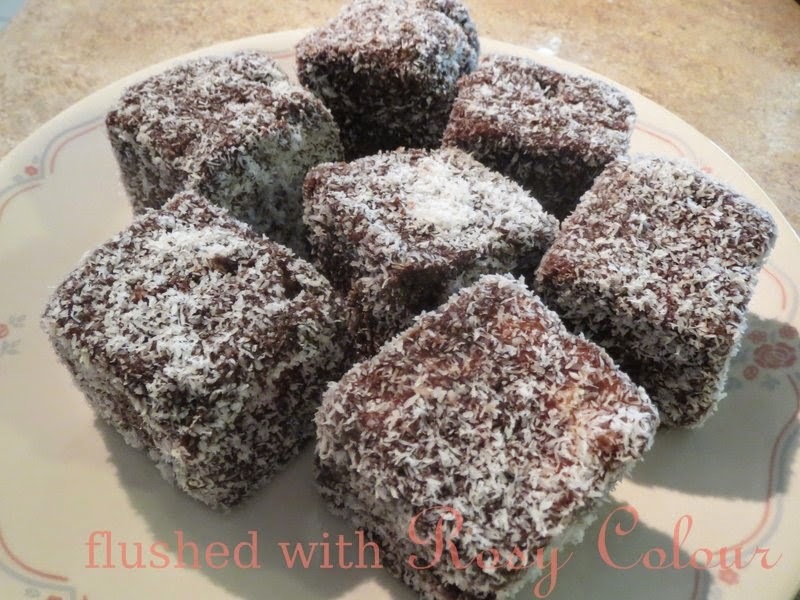 The recipe we used for the lamingtons was from taste.com.au Enjoy!